Is Honda Car Repair Cheaper Than Acura Car Repair? In 1986 American Honda Motor Company was the first to introduce a new, higher line of cars into the U.S. automotive market under the Acura name. Within a few years Toyota would do the same when they introduced the Lexus car line and then Nissan would do the same by introducing the Infiniti car line. Unlike Toyota’s Lexus and Nissan’s Infiniti, American Honda has kept more of the power train components in common between their Honda and Acura car lines, therefore, (in theory) keeping Honda car repair costs very close to Acura car repair costs. In 1997 we stepped away from the local Honda and Acura franchised dealership service departments and started Accurate Automotive, Inc. Our Nashville, Tennessee based business was, and is, an alternative to the franchised dealership service departments for the maintenance and repair of both Honda and Acura automobiles. We have extensive expertise in both Honda car repair and Acura car repair. What we write about in our blog articles is not based only on professional opinion, but on years of experience. Again, maintaining Honda cars vs. maintaining Acura cars should be basically the same costs, but like most things associated with the U.S. automotive industry, perception and image are substantial influences on what consumers are charged and are willing to pay. Many factory drive train components, including engine, brake and transmission related parts will cross between the Honda and Acura models. American Honda Motor Company currently does not hide this fact. 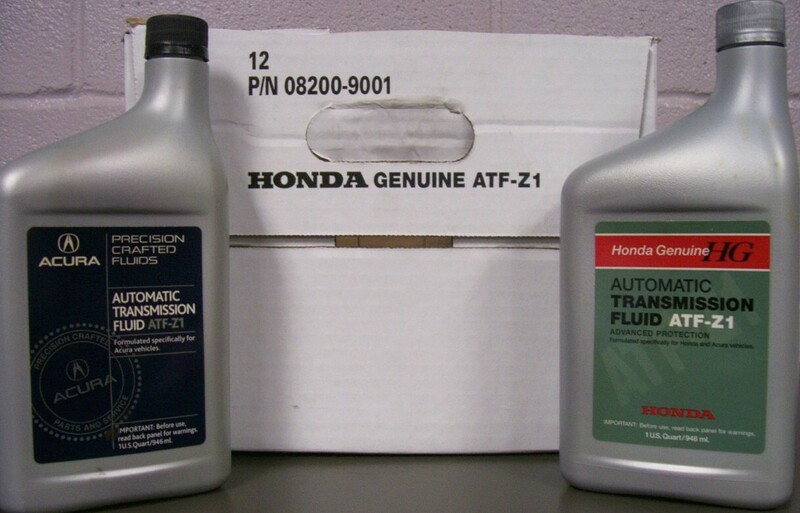 In most cases where parts are common between the Honda and Acura lines the part numbers will be the exact same and the packaging will be under the Honda name. Very few parts come in an “Acura” box, bag or package. However, one category where this can vary is in fluids. This is Honda part number 08200-9001 or Acura part number 08200-9001A. 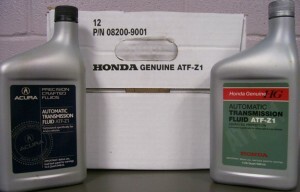 Although each has their own part number, both fluids under the two part numbers are the same.This means that you can use the Honda fluid in an Acura or the Acura fluid in a Honda car. So don’t be fooled. The automotive repair industry relies heavily on consumer perception and assumption. The sticker price of the Acura line of cars is higher than the Honda line of automobiles. However, the consistent production and use of the same part numbers ensures that, in most cases, Honda car repair and Acura car repair costs should be about the same.